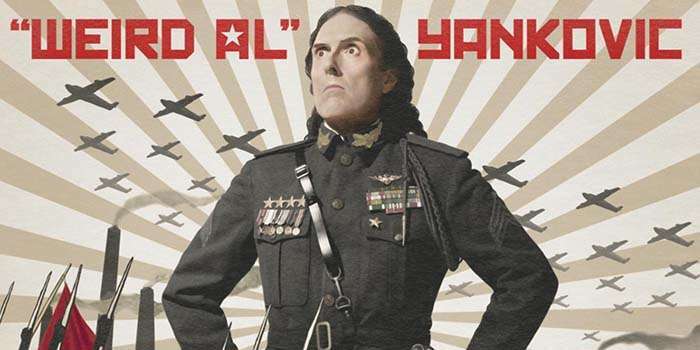 Weird Al Yankovic’s Mandatory Fun won the internet in 2014 – but how? Soaring to the top of the US Billboard and monopolising the media, Getintothis‘ Chris Burgess charts the unlikely, yet deserved, 2014 success of Weird Al Yankovic. 2014’s most effective music marketing campaign came from a very unlikely source. Weird Al Yankovic, the master of the song parody, released his very first number one album in the US last summer. Mandatory Fun, the fourteenth studio album of the 54 year-old’s career, became the first comedy album to reach top spot on the US Billboard Chart for over 50 years. What’s fascinating about it wasn’t Yankovic’s 32 year wait for a chart-topping album, it was the way he went about promoting it. In these strange days of downloads, streaming and an abundance of singers, bands and musicians all vying for attention, it has become harder than ever to stand out from the crowd. Yes, Taylor Swift and the Frozen soundtrack may have shifted more units in the year, but they were backed with millions of dollars of marketing budgets and huge advertising campaigns. Weird Al, not as cool or ‘relevant’ as Swift and not as offensively pervasive as Disney, still managed to reign supreme for a few golden weeks last year. Yankovic pitched his promotional campaign brilliantly, by design – certainly not by any fluke. 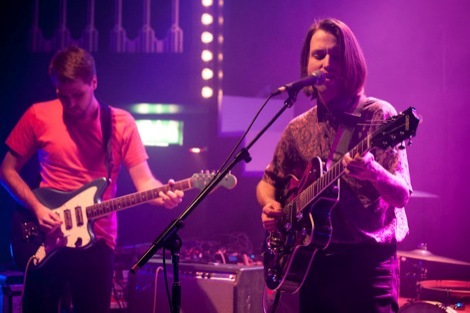 Instead of launching a lead single, as tradition usually dictates, he instead released a crusade online so fiendishly clever in its simplicity and execution that you feel it could be ‘the new way of doing things’. Weird Al released eight music videos online in eight days, with a hashtag to match. Nothing too new there, bearing in mind Beyonce’s surprise release of her eponymous album. In fact, Al’s previous album Alpocalypse saw him release videos for every track on the day of release. However, Yankovic took it a few steps further this time, created his own media blitz and effectively took over the internet and TV for a couple of weeks in July 2014. In some quarters he was inescapable – not only getting his established fans excited, but winning over new fans due to his sheer persistence. The highlight of his videos had to be Word Crimes, his parody of Robin Thicke’s catchy-yet-deeply-offensive hit (although maybe as a writers we’re slightly biased). Currently standing at 21 million views on YouTube, the song went viral in a very short space of time. Without any contribution from his label towards the videos, Yankovic had to source them himself – and this is where the true genius moves came into play. Making good use of his comedy connections, help was enlisted from such online giants as Funny or Die, College Humour and The Nerdist – all willing to help create videos and gain some cross-promotion at the same time. Each had its own ready-made audience squarely in Yankovic’s demographic, so the internet didn’t take long to buzz into action. It wasn’t just comedic circles that were in on the fun though – the Crosby, Stills and Nash inspired ode to corporate speak Mission Statement was debuted on the Wall Street Journal. Not only is the WSJ about as far from the hippy ideals of CS&N as you could get, but so are the lyrics to Yankovic’s parody. Weird Al didn’t just sit and rest after releasing the videos though, he engaged a flurry of online activity to back it up – gaining massive support on Reddit, popping up on a multitude of podcasts such as Scott Auckerman’s Comedy Bang Bang, and also giving a great turn on Epic Rap Battles of History as Isaac Newton (with Jurassic 5’s Chali 2na making a truly outstanding cameo as Neil Degrasse Tyson). Alongside all of that, Yankovic was all over the TV stateside too – appearing on the talk show circuit with Conan O’Brien, portraying Adolf Hitler on the marvellous Drunk History, and a rather touching moment with Tom Green, where his number one position was announced. Here’s Al to explain how it all worked. Weird Al’s geeky mix of comedy and music gave him access to a much broader audience than other artists. However, many record labels and promoters will have been watching last summer and this way of releasing content and creating an online buzz is sure to emulated in 2015. There’s a delicious irony in that, as Yankovic – the king of the parody – became the artist others look to copy.